Blog / Community / American Story? Small Town Story? 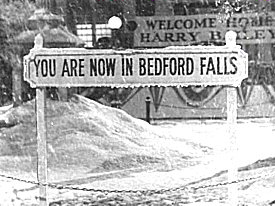 Does Bedford Falls really exist or was it just a figment of Frank Capra’s imagination for the perfect town in his film “It’s a Wonderful Life?” And are there other such idyllic towns in the U.S.? In the world? Does the success of such small towns and villages stem from location, location, locationas real estate agents tend to say or does it have more to do with a collection of inspired individuals like George Bailey (played by Jimmy Stewart in the film)? Are there distinct advantages to living in smaller communities? As I was growing up my family moved somewhat frequently. We moved from one end of the United States to the other and several places in between. Our father’s job was demanding. His company was keen on sending him first to one location and then another to help the company’s holdings establish best practices. He was, in a sense, the Michael Gerber of the restaurant industry. We moved to larger cities like Los Angeles, Chicago and Kansas City most of the time but occasionally moved to smaller towns. The first two small towns we lived in were not very much like Bedford Falls. Sure, their Chambers of Commerce thrived and business was good. The churches and temples were full on the correct days. Schools did their best with the resources they had. Town leaders convened meetings to discuss the important issues of the day. But these towns lacked heart. And vision. They weren’t used to looking at themselves from a birds eye view and because of this they didn’t look like Bedford Falls. Instead they appeared to be collections of self-interested theologues. Big fish in small ponds. Praising the divine and quietly wishing the less-better-off would either leave town or get a clue. Anton “Tony” Nelessen, Program Director of Planning and Public Policy at Rutgers University, is certain that many more of us humans will begin living in large cities as time goes by. His visionary work will undoubtedly lead to better living conditions in large cities around the world, and do so with significantly greater levels of sustainability. I had an opportunity to speak with Professor Nelessen earlier this year about his focus on urban living. “It’s about quality of life,” he said. “Many more services will be available to many more people while providing interesting, sustainable places for them to live, work and recreate.” It didn’t occur to me to ask him what he thought were the advantages of growing up, instead, in a nice small town. Utilities like water and electricity. Some of you will argue that I’ve got the order all wrong or that I’m missing several key elements. Others will argue that we could outsource virtually every one of these services. Many municipalities do just that (perhaps the people part is not altogether outsourced). Speaking from experience, a greater proportion of the population will know one or more of the above mentioned service providers in small towns as opposed to larger cities. Why? Because in smaller communities the chances are pretty good that one or more neighbors fulfill those roles. In larger cities the service providers are expected to run like well-oiled machines so as to reduce the overall tax burden. This increases the competition for jobs, frequently pulling people from other parts of a (large) city to perform a job better for less money. Certain that we can achieve a goal even if I cannot do it alone. This happens for reasons that I’ll get to in just a minute. Where do great leaders and townsfolk come from? For a period of time the U.S. Public Health Service forgave medical school debt in exchange for physicians moving to, and practicing medicine in, rural areas of the United States. Some extraordinary doctors could be found in sparsely populated areas. And where good medical help is available, other people soon follow. Generally speaking, the individuals who are best suited to serve as civic leaders have the right combination of personality, talent (think Strengths), passion and opportunity. It also helps if the leaders think in terms of the greatest good and truly want what’s best for the town. Miles Davis is quoted as having said, “You have to play a long time in order to play like yourself.” I believe this wholeheartedly and not simply with regard to playing musical instruments. Is it possible that we humans are better able to learn what we’re made of when we make our homes in smaller communities? Something I’ve been wondering about for quite a while is whether civic leaders in small towns aren’t much more like small business owners than their big city counterparts. Thomas C. “Tom” Hayes (1943-2012). Not your average civic leader. Now enter Thomas C. Hayes: Coach, guidance counselor, school principal, mayor, neighbor, husband, father, uncle and friend. Was Tom Hayes the George Bailey of Lexington, Missouri? Tom was not the owner of a local savings and loan company as was George Bailey. Instead he was a community builder. In brief, Tom began his coaching career in the mid 1960’s. In total, he brought numerous Lexington High School wrestling teams and football teams to Missouri State Championships. Sports teams are the heart and soul of a small town. 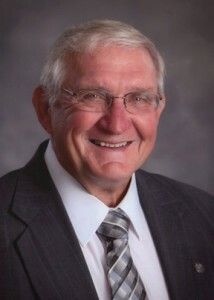 Throughout his career as an educator, he remained a coach at heart; and in his approach to getting things done. In 1998 Tom retired from education and became Mayor of the City of Lexington. Statistics show that within one year of his taking office, crime fell by half. It stayed that way throughout his years in office. As Tom grew older, he combined his natural ability to sell his vision to others with a modest desire to improve life for those around him. Selection process: Tom selected people for a job and sometimes selected jobs for specific people. He did this in coaching sports and in coaching everything else. He used a team approach for every project. Led from the sidelines by empowering, delegating, negotiating and following up. Big picture guy – visionary. Individuals who are capable of bridging space and time — people like Tom Hayes — are timeless. He was keenly aware of the tragic loss of potential goodness and energy in persons who came from “tough circumstances”. Did he change the circumstances? Sometimes. But he always gave them a better vantage point. Was Tom Hayes the “George Bailey of Lexington, Missouri”? No. He was much more than that. He was a real person who touched the lives of a great number of people in his town. All of them, in fact. So, is this an American Story or a Small Town Story? I think it’s the Human Story. And there are selfless, generous people like Tom Hayes around the world. My hat’s off to them. 2. An upbringing that took them from big city to small town (or vice versa). After they experienced both, they knew where they can make a difference. I lived in 4 states and went to four different urban schools before grade 3. Finally, after a few more moves I landed in a small town for high school. My vote goes for establishing roots in a great community at the point in your life when you truly appreciate it and will be engaged. Thank you for writing a great story! Thank you for your comment, KMF. I have to agree with you on both your points. My father is a lifelong service club member and that inspired me to become one as well. And learning the differences between big city living and small town living can really only come from experience. The educational value alone can be likened to “drinking from a fire hose”, much like the learning we experience when visiting foreign countries. Your statement “After they experienced both, they knew where they can make a difference” is an interesting one. It tells me that YOU are engaged and conduct your life so as to give back to your community. You probably also understand the importance of having passion in the work that you choose. But what about those who don’t feel engaged? Do you think they’re more likely to become engaged in a small community? What is it about certain parts of the country that turn its citizens into the “greatly involved/engaged masses”? After living in Northeast Wisconsin for nearly 11 years, I still cannot believe the difference between the huge levels of engagement I see in our local communities versus what we experienced when living in Chicago. We’re separated by a 3 hour drive but it seems that we’re an entire world apart. 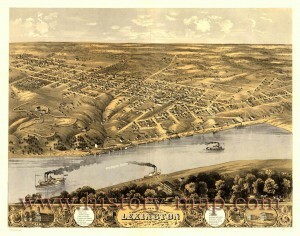 And what about Lexington, Missouri? I know very little about that town, except that my aunt and uncle chose to make their life together there. And given their strengths of character, their kindness and striving for “doing the right thing”, I have to assume that it is nearly the perfect place to live. Wentworth Military Academy & College » A Tribute to Tom Hayes: "American Story? Small Town Story?"